Kohl’s has started to make progress on addressing toxic chemicals in the products it sells, earning just 29.75 points and a letter grade of D and ranking 21st out of 40 retailers. Following the company’s recent posting of a chemicals policy on its website, Kohl’s acheived a significant improvement over its grade of F with zero points in 2017. 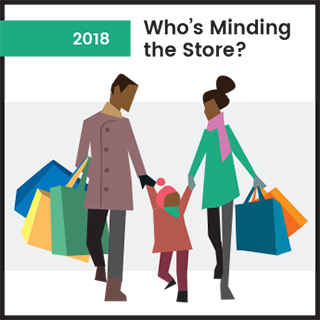 It is unclear if the policy itself is new or just newly disclosed—Kohl’s did not respond to our opportunity to clarify its policies in 2017 and the policy itself is not dated. Opportunities for improvement: Kohl’s can make progress by adding more detail to its policy to specify the processes for testing and auditing its suppliers, releasing its RSL publicly, and by setting public quantifiable goals with clear timelines for reducing and eliminating chemicals of high concern from its private-label and “direct import” products. Additionally, Kohl’s should work to apply its chemical policy to other products it sells beyond its private label and direct imports. Kohl’s has a written chemicals policy that, in addition to requiring all vendors to comply with regulatory and legal requirements, imposes a Restricted Substances List (RSL) on its private-label and “Direct Import” products. The RSL itself is not publicly available, though Kohl’s states in its policy that it goes beyond chemicals subject to government restriction, applies to all Kohl’s locations, and applies to both products and packaging. Kohl’s policy also broadly notes that it seeks to reduce the use of chemicals across its operations, but the lack of specificity in how or which chemicals resulted in us not awarding points for this element. Kohl’s states that the chemicals policy is included in its Social Compliance management, which is overseen by “senior leadership and executives.” There are no specific statements available showing board level engagement or financial incentives. Kohl’s chemicals policy states that “testing of products are required based upon the level of risk.” It is unclear if this testing includes third party testing by the supplier or sample testing by Kohl’s, although a separate supplier manual does reference third-party testing for regulated chemicals. The retailer additionally notes: “As part of our regular audit program, we monitor factories to assure adherence to our RSL” and that Kohl’s “…provides training to help factories improve their chemical management, including understanding risk and the importance of taking proper precautions.” It is not clear from this statement the extent to which this training covers the retailer’s chemicals policy and reporting as it could be interpreted as more focused on addressing chemical exposures at the factory. Therefore, we have awarded Kohl’s points for auditing its suppliers and half credit for each of the other three criteria due to the lack of specific details within the policy language. Kohl’s policy states: “we look to partner with suppliers to identify opportunities to transition to preferred chemicals.” However, it does not provide specific guidance as to how safer chemicals are identified or screened. Kohl’s chemicals policy recently was made publicly available on its corporate responsibility website. Kohl’s does not appear to encourage or require the disclosure of ingredients in products online or on product packaging or publicly disclose the identity of articles or formulated products that are free of chemicals of high concern going beyond regulatory compliance. Since our last report card, Kohl’s has made a significant improvement by making a chemicals policy available on its website.